I've compiled a list of some delectable, chocolate-themed Neopoint and Neocash wearables that are bound to appear on the infamous Chocolate Carpet. Choosing the perfect feathered friend for your pet. Are You Ready for a Petpet? Though every Neopet knows the devotion, loyalty, and joy a Petpet can bring into a life, there are responsibilities that accompany the acquisition of one of these furry friends. 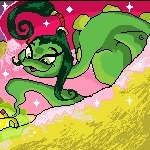 As summer draws to its end, it is time to begin thinking about getting young Neopets ready to return to Neoschool. The Chocolate Factory Kiko has decided the theme of this Annual Chocolate Ball would be an international one and has asked all of Neopia's food shop owners to bring their own chocolate dishes! Economically it is a very good thing it is being retired. Why then is Candice the Chocolate Cybunny packing her suitcase in haste, hoping to catch the next passenger boat to Terror Mountain? "Do not engage," Loraine's voice ordered over the communicator. "Keep tabs on both as inconspicuously as possible, but do not engage. Backup is coming."